Home All News News Another Exhibition “Infinity_fSM II” Opens This Week! 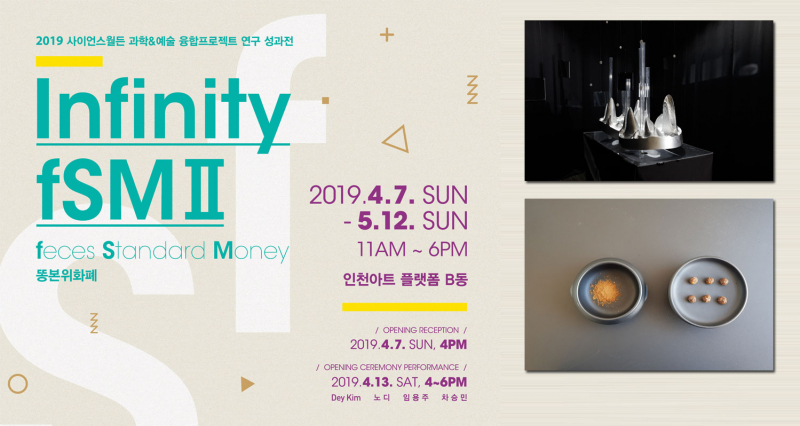 Another exhibition 'Infinity fSM II' by Science Walden wil be held at the Incheon Art Platform from April 7 to May 12, 2019. 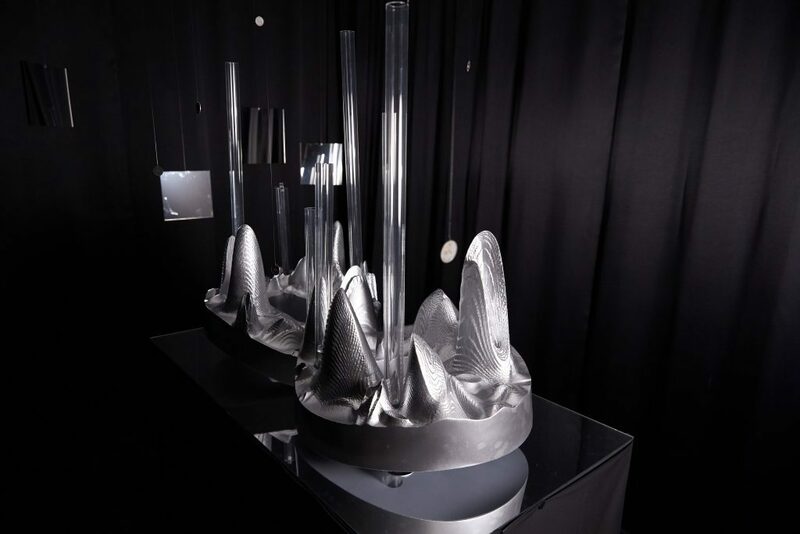 Artworks that express the future world that science will present are put on display. These artworks, which we owe to the labors of writers, composers, scientists, engineers, and designers, portrayed the values of environment and the circular economy, centered on the ‘feces Standard Money (fSM)’. Another exhibition, dedicated to blending art and science, opens this week at Incheon Art Platform. 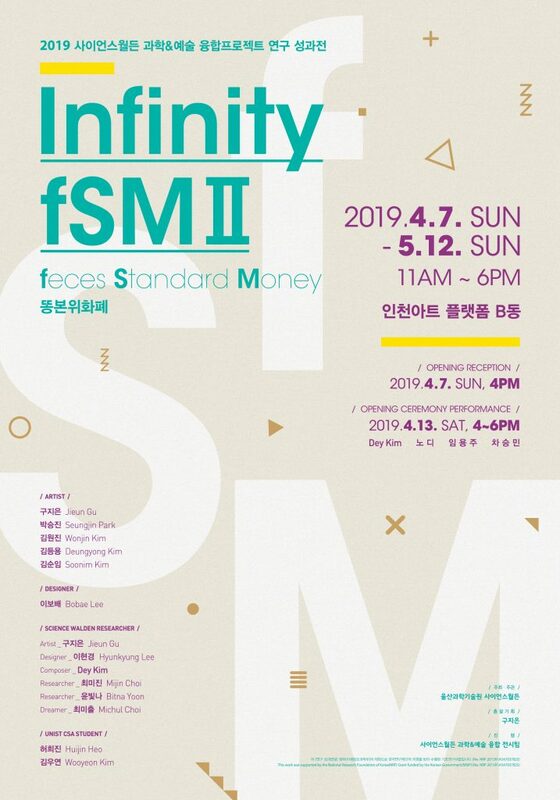 Held under the theme of Infinity_fSM II, the show will run from Sunday, April 7 to Sunday, May 12, 2019.
fSM (Feces Standard Money) is an important theme pursued by the Science Walden project. fSM (Feces Standard Money) is an important theme pursued by the Science Walden Center. Through this alternative currency system, one can convert human feces into biogas, use that energy as a fuel for heating, and even receive a cash refund for that energy produced. All of these are aimed at providing a basic income through the act of bowel movement. The center currently carries out various research projects, including smart toilets that process human feces using a minimal amount of water for the realization of fSM, as well as the systems for the production of bio energy. 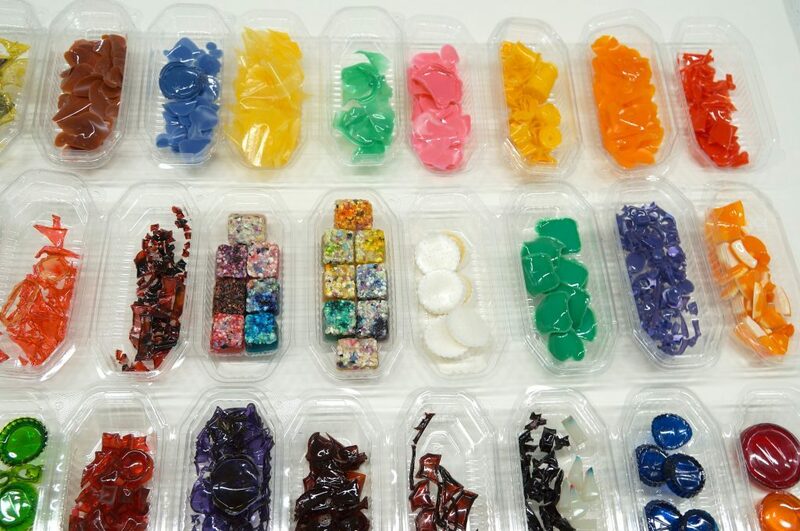 The exhibition will feature 23 pieces of art, which have been created via Science-Art Convergence Projects by Science Walden center since its establishment in 2015. It has been participated by Designer BoBae Lee and the following artists (SeungJin Park, WonJin Kim, DeungYong Kim, and SunIm Kim). Artist Jieun Gu also took charge of general planning. Researchers from Science Walden Center, which include Assistant Professor Hyun-Kyung Lee (Division of General Studies), Dey Kim, Research Professor Mi-Jin Choi (School of Urban and Environmental Engineering), Bitna Yoon, Michul Choi, HuiJin Heo, and WooYeon Kim (Graduate School of Urban and Environmental Engineering) also partook in the exhibition. The exhibition will showcase various works, created under the theme of environment, water pollution, as well as the circular economy. These works all started with the endless agony and questioning about the realization of fSM. “Hypo-connected Society” by Jieun Gu and Research Professor Mi-Jin Choi. 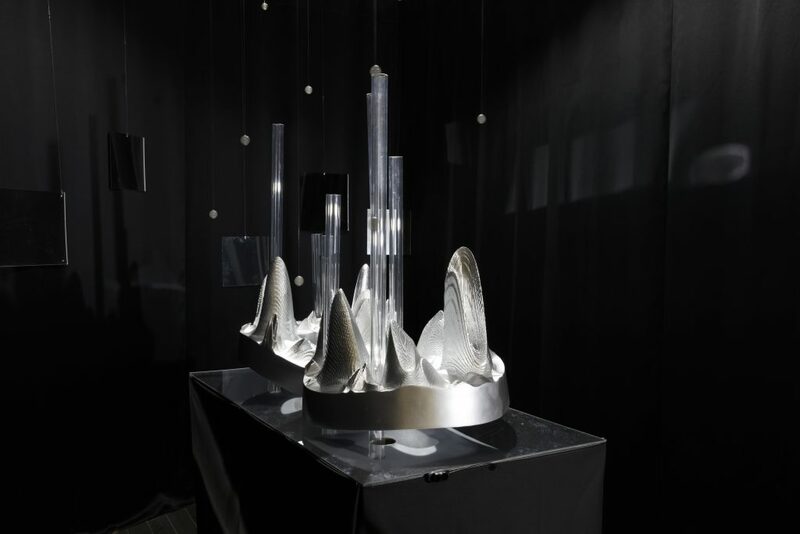 The ‘Hyper-connected Society’ by Jieun Gu and Research Professor Mi-Jin Choi in the School of Urban and Environmental Engineering at UNIST attempts to express water pollution, caused by the flushing toilet, as well as the potential to change the way we live via fSM. The Möbius stripe structure made via 3D printing offers a photo-realistic, three-dimensional model of the urban air pollution data. Their work aimed at putting an end to the endless chain of pollution via fSM, thus bringing fresh changes to our lives. “Han Ddam Project” by Artist DeungYong Kim. Shown above are salt crystals, extracted from Artist DeungYong Kim’s sweat samples. The so-called ‘Single Sweat Drop Project’ aimed at reviving the value of ‘Sweat‘. 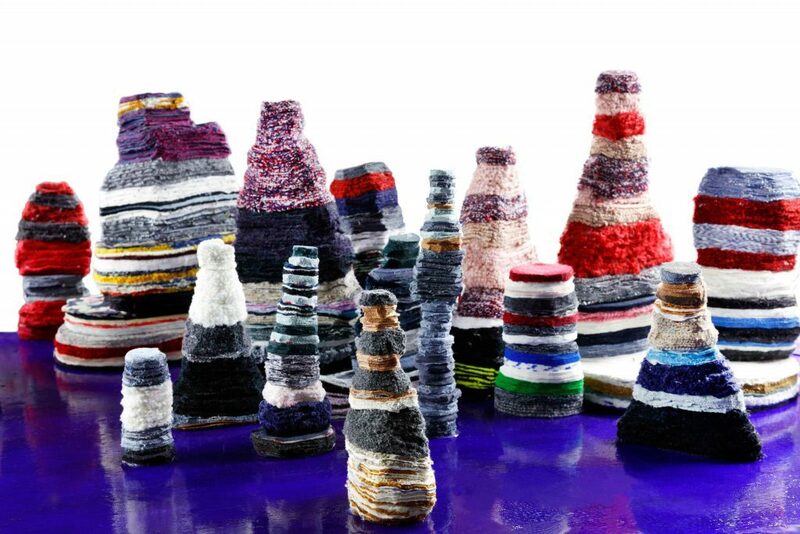 The above artworks created by Artist DeungYong Kim via his recent ‘Single Sweat Drop Project‘, will be also available at the exhibition. 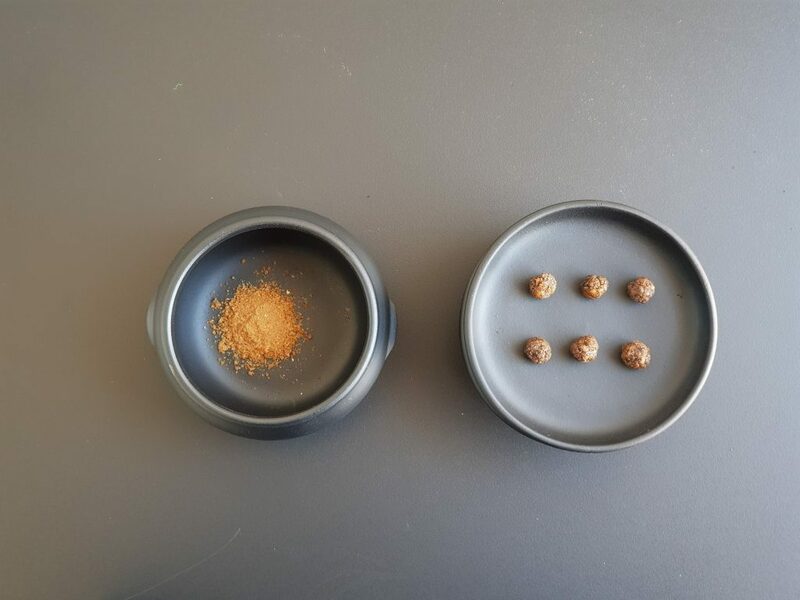 Inspired by the Science Walden project which created value out of the abandoned human feces, Artist Kim carried out a project that aimed at reviving the value of ‘Sweat‘. Indeed, through this project, he wanted to turn the act or condition of ‘Sweating‘, which is often thought of as an unpleasant experience, into a valuable artwork. 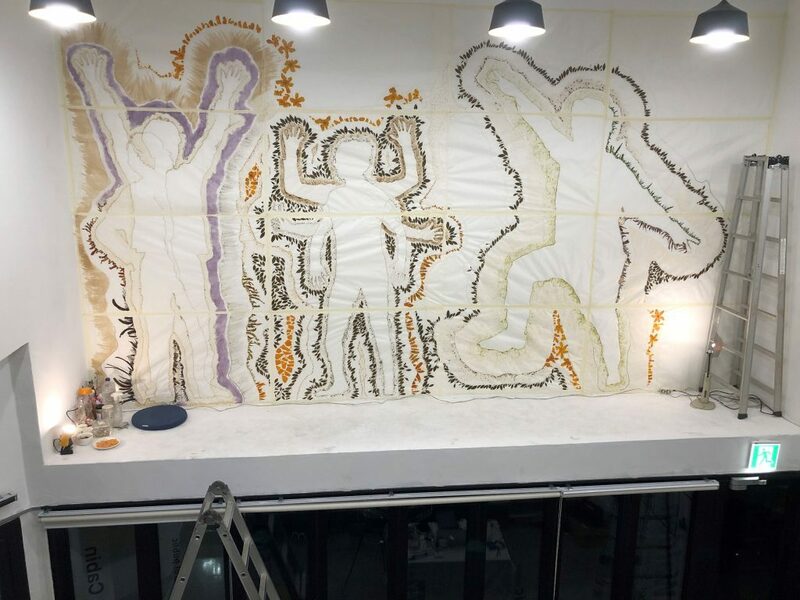 The exhibition showcases unique artistic creations made out of the ashes of burnt diaries, food wastes, as well as materials―common plastic trash and detergents―that are harmful to the environment. Thus, it is aimed at restoring meaning and value to what has been forgotten. The official opening ceremony will take place from 4:00 pm on Sunday, April 7, 2019. On Saturday 17 April, the exhibition will also hold a special commemorative performance, inviting the following musicians: Dey Kim, Nodi, Yong Ju Lim, and Seungmin Cha. The exhibits and performances at Incheon Art Platform are open to the general public and are free of charge. A New Exhibition “Infinity_fSM” Opens This Week!